Many tour and travel companies offer mainly ‘canned' trips. Not Educational Destinations. We create a unique trip based on your needs. 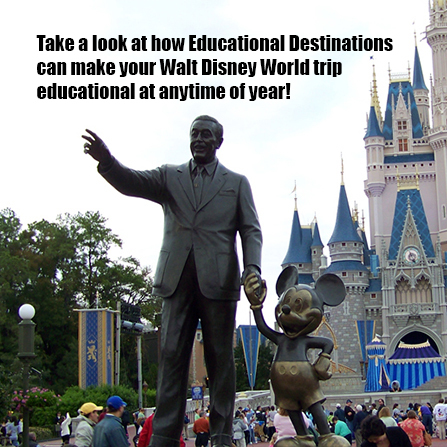 Educational Destinations uses certified vendors held to the highest quality standards, and Educational Destinations guarantees truly inclusive pricing. 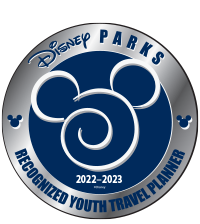 The Recognized Youth Travel Planner designation and logo is a Mark of Excellence awarded by Walt Disney Parks & Resorts to its top youth travel partners. 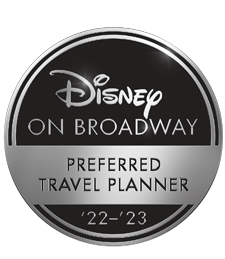 It comes with a travel company's selection to participate in the prestigious Walt Disney World Resort/Disneyland Resort Youth Travel Planner Symposium. As a charter member of SYTA (Student & Youth Travel Association), founded in 1997 to protect travelers younger than 26 years of age, Music Travel endorses and complies with SYTA's strict code of ethics. In addition, Music Travel meets SYTA's requirement that members have tour protection coverage of $200,000 more than that offered by NTA's Consumer Protection Plan. ABA (American Bus Association) is the trade association of the intercity bus industry. Active in representing members' interests before the U.S. Government, it also facilitates relationships between North American motorcoach and tour companies. Promoting motorcoach travel to consumers is a major ABA focus. NTA is made up of over 600 professional tour companies and allied travel suppliers. NTA members must carry a minimum of $1 million dollars of professional liability insurance coverage, and each must have had two years experience in tour operations. One of the leading coach companies in the USA, The Free Enterprise System is a wholly-owned subsidiary of Sodrel Truck Lines, Inc., a family transportation service business founded in 1915. The parent company also owns and operates Star of America motorcoaches. Recipients of numerous industry safety awards, International Driving Championships and Fleet Safety awards, the firm is recognized by the American Bus Association, the National Safety Council, The Department of Transportation, and the Department of Defense. With coaches based in Indiana, Kentucky and Illinois, The Free Enterprise System prides itself on the outstanding condition of its late-model coaches and the service provided by its highly-trained and skilled drivers. Disney Theatrical Productions Limited (DTP), also known as Disney on Broadway, is the flagship stageplay and musical production company of the Disney Theatrical Group, a subsidiary of The Walt Disney Studios, a major business unit of The Walt Disney Company. Founded in 1993 by longtime Disney Entertainment veteran Ron Logan as Walt Disney Theatrical, the division has gained a reputation within the industry for creating professional and popular (both critically and financially) performances, starting with the acclaimed Beauty and the Beast in 1994 and most recently with Aladdin in 2014. The company is a division of Disney Theatrical Group, led by Thomas Schumacher.